In a way, Coretta Scott King was the first Black First Lady. 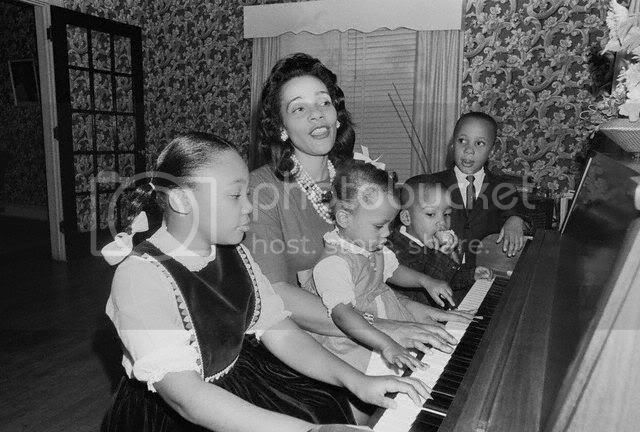 A woman of grace and intelligence, Coretta was a classically trained singer & violinist with a heart of gold. I can imagine ladies of the mid-century idolizing what she wore and what she had in her home. There's no doubt that she became a symbol for what a woman could be in a time where women were often ignored. 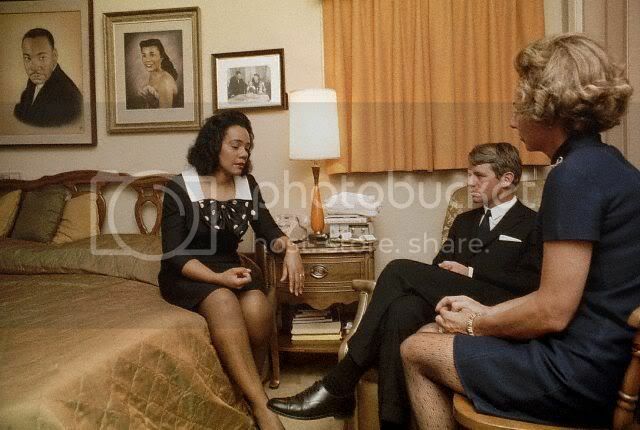 I found these photos of Coretta in her home and it inspired me to imagine what 1960s decor may have lived there with her. Singing and teaching piano with the 3rd generation of Kings. Talking with Robert F Kennedy. On this day that we reflect on the legacy of Dr. Martin Luther King, Jr., I can't help to think about the woman that stood by him through it all. After his untimely death, Coretta continued to work in Dr. King's footsteps, right up into the new millennium. Dr. & Mrs. King believed that everyone had the ability to make a change through service. If we push our talents past what's self-serving, we all have the ability to serve others in some way or another. Mine is through design. How can designers be of service? Watch this video from Emily Pilloton of Project H about how design is making change in my home state of North Carolina.